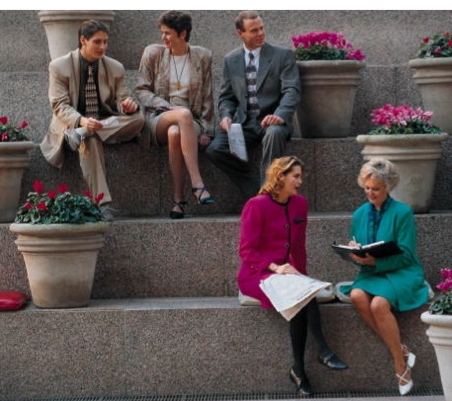 Organizationally, conversation is often given a bad rap. For many organizational leaders it symbolizes the informal and unstructured talking that employees engage in when they should be “working”. The reality, however, is that conversation is the backbone of every organization — especially during change. Change happens through conversation. Your change conversations can pull your organization together and rally its energy around your change or they can drain its collective energy and send your organization into a downward spiral. People naturally use conversation to make sense of a situation. Conversation helps us create the context, meaning and structures we need to interact effectively with our environment. It is through the collection of new and continuous conversations that our reality is formed. Perhaps even more importantly, our conversations help create the energy (positive or negative) that we will bring to our situation. A leader’s ability to create the environment, mechanisms, and timing of change conversations is a strong predictor of success. The guided conversation technique uses a series of questions, activities, and structured dialogues to enable individuals to build the structures and meaning necessary to move through the change process. It is not one conversation, but a series of dialogues conducted at multiple levels of the organization. It defines the nature, flow and timing of information to tap into and use the collective energy of the organization in support of your change. The guided conversation technique enables you to tap into the natural rhythm of the change conversation. 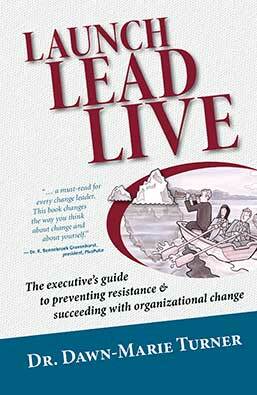 It is a powerful tool to focus the energy of your organization on successfully implementing the change. Where are the conversations in your organization taking you? A phenomenal tool for both personal and professional life. Recommended for business/corporations and individuals a like. I found [The Executive Change Leader Course] very informative and feel the information can be used in day to day managing. Dr. Dawn-Marie Turner is a very engaging presenter and was able to keep my attention for the whole day. Which is very hard to do. Our experience working with Dr. Dawn Marie Turner has been very rewarding. She has brought her knowledge and methodology to us to develop a Change Management strategy, and she has fit in as if she was part of our team. (Living and Leading Change) provided The Dufresne Group with the fundamentals to create a change management structure that works for our organization. It’s a culture that will take time to adopt and the rewards will be worth the effort. Dawn-Marie Turner has an excellent grasp on change management from an academic and practical perspective.